A fundamental problem in artificial intelligence is that nobody really knows what intelligence is. The problem is especially acute when we need to consider artificial systems which are significantly different to humans. In this paper we approach this problem in the following way: we take a number of well known informal definitions of human intelligence that have been given by experts, and extract their essential features. These are then mathematically formalised to produce a general measure of intelligence for arbitrary machines. We believe that this equation formally captures the concept of machine intelligence in the broadest reasonable sense. We then show how this formal definition is related to the theory of universal optimal learning agents. Finally, we survey the many other tests and definitions of intelligence that have been proposed for machines. This work was supported by the Swiss NSF grant 200020-107616. Legg, S., & Hutter, M. (2007). A collection of definitions of intelligence. In B. Goertzel & P. Wang (Eds. 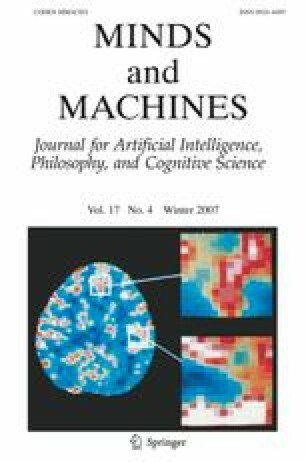 ), Advances in artificial general intelligence: Concepts, architectures and algorithms vol 157 of frontiers in artificial intelligence and applications. (pp. 17–24). Amsterdam, NL: IOS press. Online version: http://www.vetta.org/shane/intelligence.html.